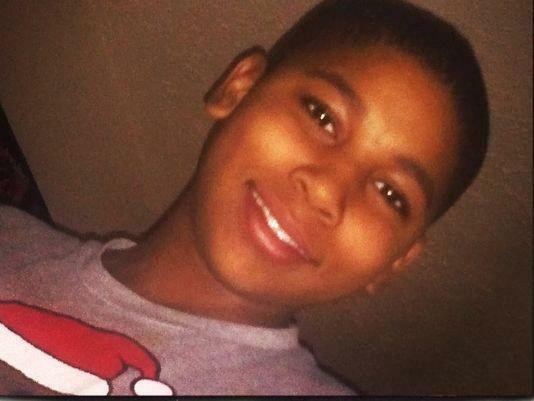 12-year-old Tamir Rice was shot by a Cleveland police officer on Saturday (Nov. 22) while playing with a BB gun that was mistaken for a real weapon. After being asked to put his hands up, one officer fired two shots at Rice. He was pronounced dead at the MetroHealth Medical Center on Sunday (Nov. 23). Cleveland Police Patrolman’s Association President Jeff Follmer remarked that the shooting officer was not aware that Rice was a child, and that the officer as following what was taught in the police academy, reports CNN. So, this child playing in a park with a toy gun looked like an adult who posed a threat to people…? This is yet another racially motivated murder by the police. New Jim Crow – officers can kill at will any black men/boys without punishment. The identity of the shooting officer has not been released. Police are currently investigating surveillance video of the incident. Both responding officers are on administrative leave.